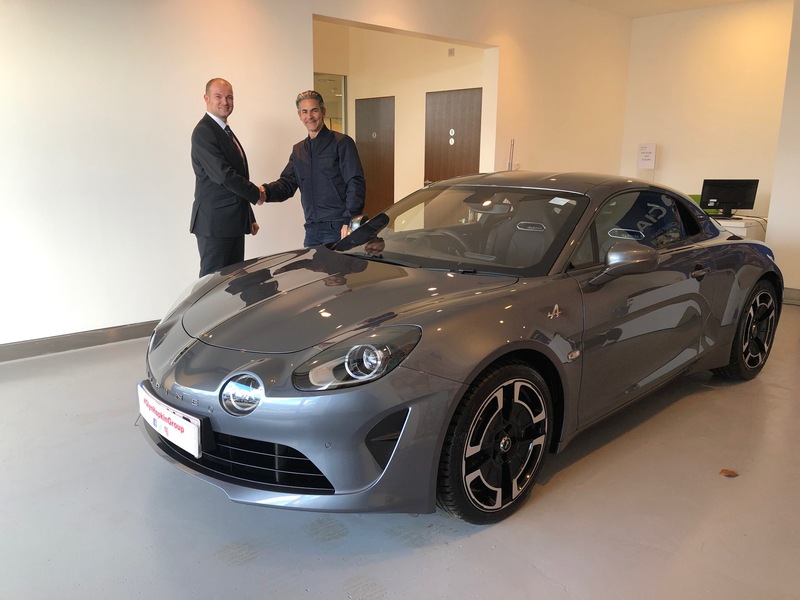 Mr Richard Frankel collecting his new Alpine A110 from Chris Howells at Alpine St Albans. Mr Farook Mitha collecting his new Alpine A110 from Chris Howells at Alpine St Albans. Mr & Mrs Tomlinson are very excited to be collecting one of the final production Alpine Premiere Editions in the U.K. Congratulations to you both, what a machine! Congratulations to Mr Neal Wilkinson for snapping up one of the final A110 Premiere Editions in the UK. Mr Penev and his son collecting their new Alpine A110 Premiere Edition. 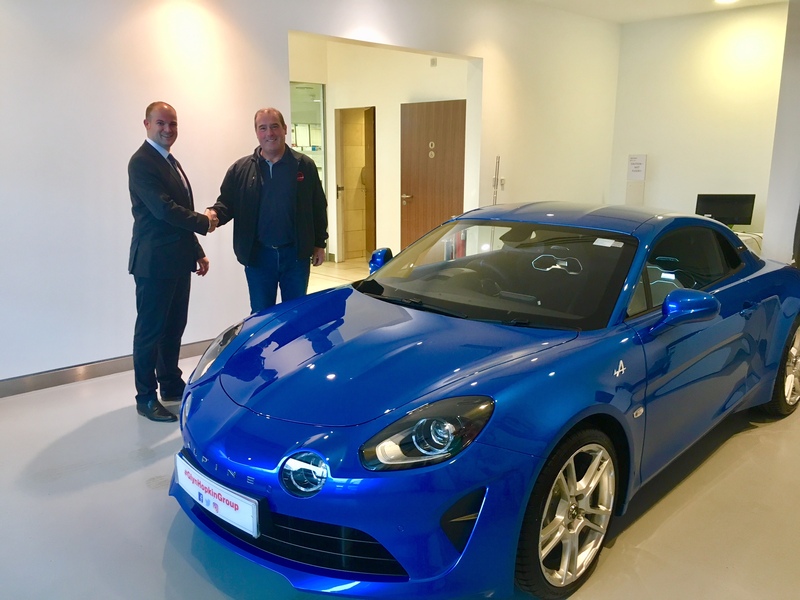 Congratulations to Mr Terry Knight on collecting his new Alpine A110 Premiere Edition. Mr Guy Wigmore and his superb Brand New A110 Premiere Edition. 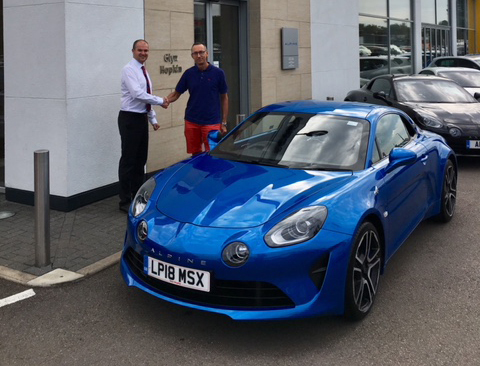 Mr Simon Ward collecting his new Alpine A110 Premier Edition at Alpine Centre St Albans. 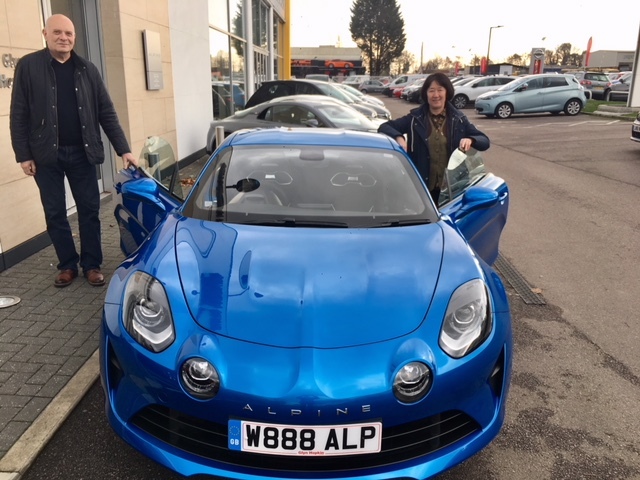 Mr Francis Wilkin collecting his new Alpine A110 Premier Edition at Alpine Centre St Albans. 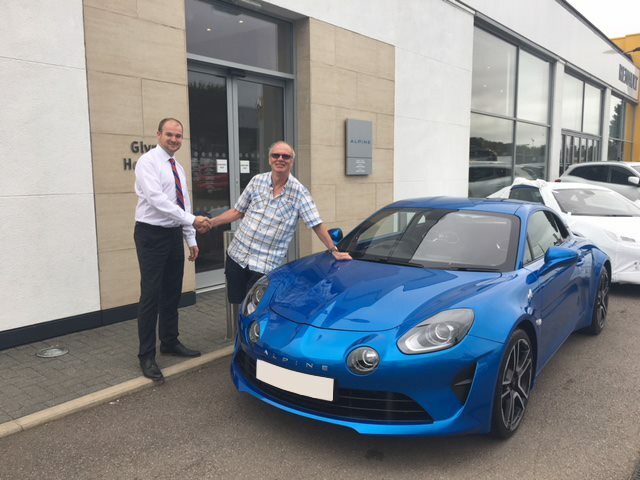 Mr Dennis Harding is over the moon with his brand new Alpine A110 Premiere edition. Mr. Keith Wilson collecting his stunning new Alpine A110 Premiere Edition.